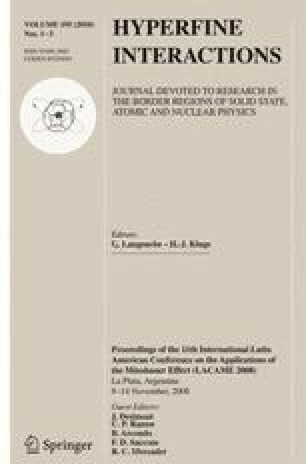 In this work we present the results obtained by means of Mössbauer Spectroscopy to determine and characterize different corrosion products coming from a carbon steel screw-nut set exposed to mountain weather conditions for more than 70 years, in Las Cuevas (Mendoza–Argentina). Measurements at room temperature and 15 K were performed, detecting a great quantity of goethite but also lepidocrocite, hematite, magnetite and maghemite. This study was complemented by material characterization in terms of chemical composition, microscopic observation and X-ray diffraction analysis.